Get a free trial of the Samurai Plan today, or read more about its features below! spent identifying root causes of issues created by your clients. With one-click restore, you will also dramatically decrease the time needed to remediate these issues, after the root causes have been identified. than malicious hackers and malware insertions. With CodeGuard, you can protect your clients from themselves. Prevent costs from spiraling out of control by establishing clear responsibility for and ownership of the issues your clients present to you. by getting client agreement that you are remediating issues that were created outside of your control. 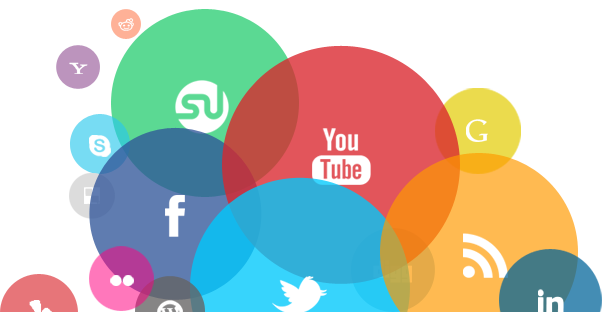 Add an additional revenue stream to your business that will never let you down. Reselling to clients is easy. (i) Simply activate their website when you first build it or need to make an update. (ii) Add CodeGuard as a line item, and if needed, show your client our video to explain why they need it. 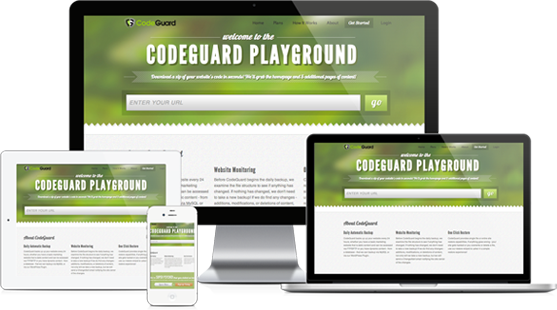 View testimonials from real clients about how they use CodeGuard. 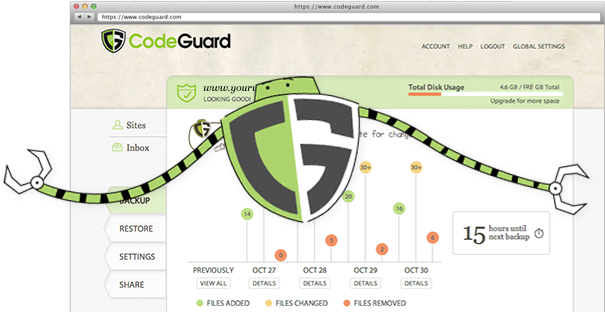 "I use CodeGuard because it gives me peace of mind. I know my client websites are backed up, and I can sleep at night." 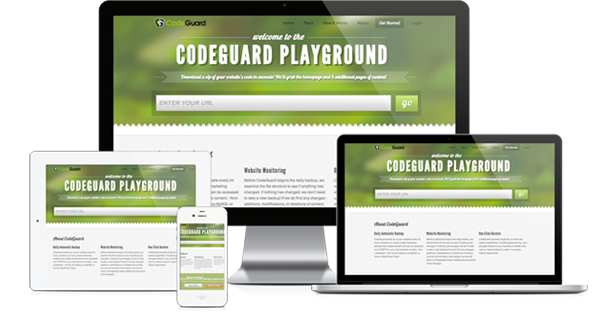 "Now that my web development business has grown, I use CodeGuard to keep track of which sites are being edited. When I get a change notice, I look at our online timesheet system to verify that we made the change (not some hacker). It's a super easy way to keep track of what my staff is doing." 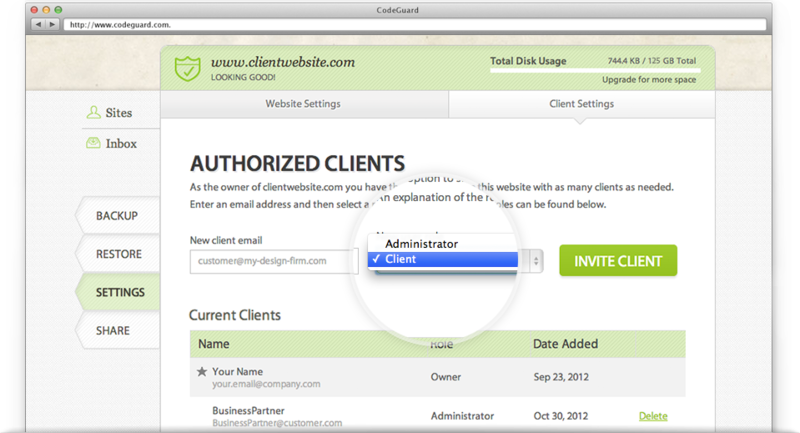 Client Access. Enable clients to use CodeGuard. 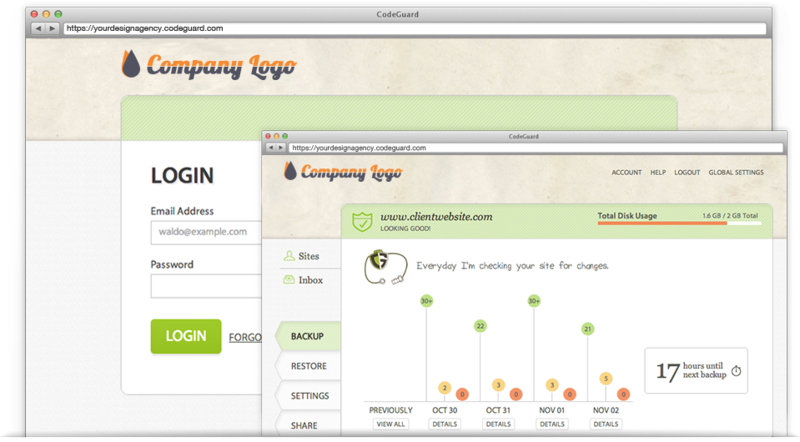 Inviting a client to see their website in CodeGuard is easy. Simply enter their email address and select a role for them from the drop-down. Now they can view reports from their site, and you can manage them. White Label Settings. Create custom subdomains to share with clients. 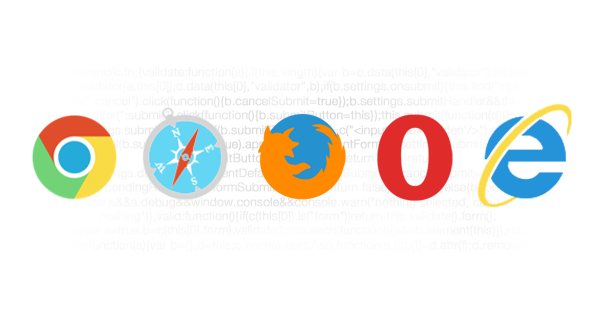 Invite a client to see their website through a portal and subdomain that you control. Your logo will appear throughout the app as they browse, reinforcing your role as an enabler of the cloud backup service. Security. Enable two-factor authentication and IP logging. We take security and ownership of responsibility seriously. If something goes wrong with a website you can check the IP logs to see if anyone approved made the change, or if there was a breach. Bottom line, manage your clients' websites easier. CodeGuard gives you the tools and features needed to do so. Site restore is a complicated process, and you don't want to troubleshoot it when a client's site is down. Use our restore test to verify sites are configured properly, so that if you ever do need a restore, things will go smoothly. The Samurai Plan also allows you to manually request a backup whenever you need it. Think of it as hitting the "save" button everytime you or your client makes a major change. As a Samurai Plan member your websites, and client websites, will always be higher in the queue for backups than members with a lower plan. Rest easy knowing that your data is always our top priority.